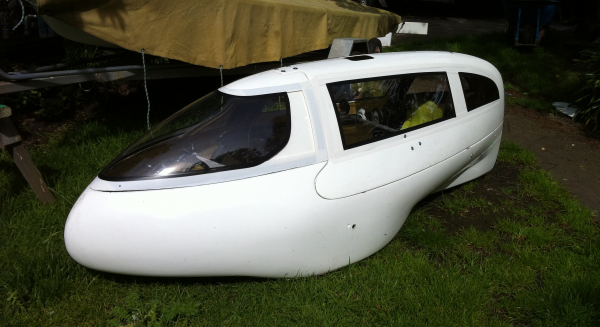 Our 2nd style of composite fairing, incorporating full floor with heel scoops and a hinged access hatch. 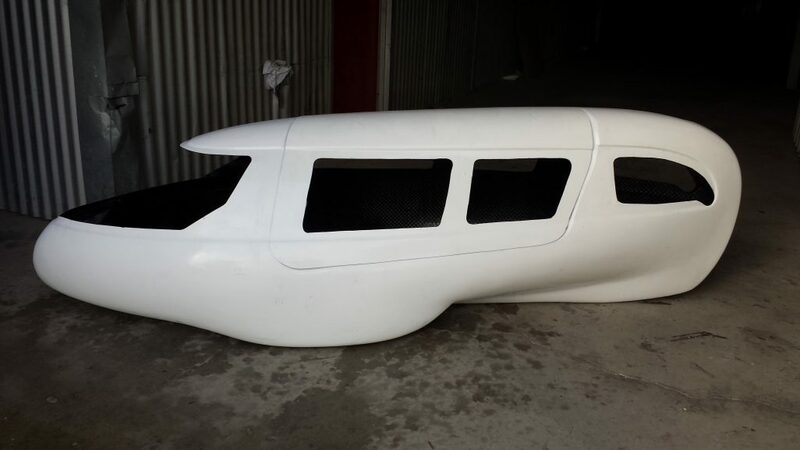 Excellent aerodynamic performance, tough and practical fairing. Carbon or glass fiber, hand laid with vinyl ester resin. Supplied ex mold, raw, trimmed with all hinges, latches, velcro and windows. This fairing is now available in your choice of carbon fiber or CSM fiber glass construction.